OFFERS DUE TUESDAY 4/16 BY 5PM. 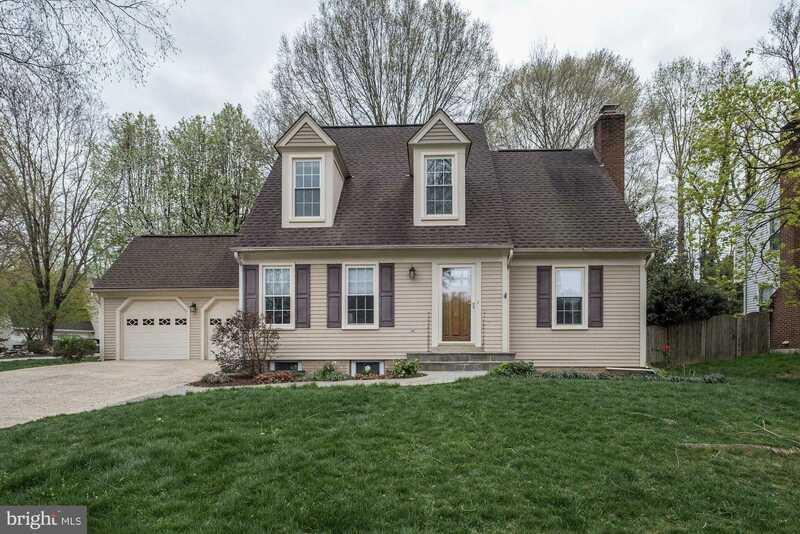 Located in a sought after established community surrounded by parkland and with easy access to walking trails, this move-in ready Cape Cod is nestled in a quiet culdesac with easy access to metro, 395 and DC. The home is beautifully finished with gleaming hardwoods throughout, a cozy wood-burning fireplace with gas log set and generous bedrooms including a master suite with ensuite bath and walk in closet. The heart of the home is the stunning, light-filled gourmet kitchen finished with a Wolf range, natural stone countertops, a dramatic backsplash and a functional island with lots of prep space and seating- it’s a dream! Don’t miss the chance to call this house home!